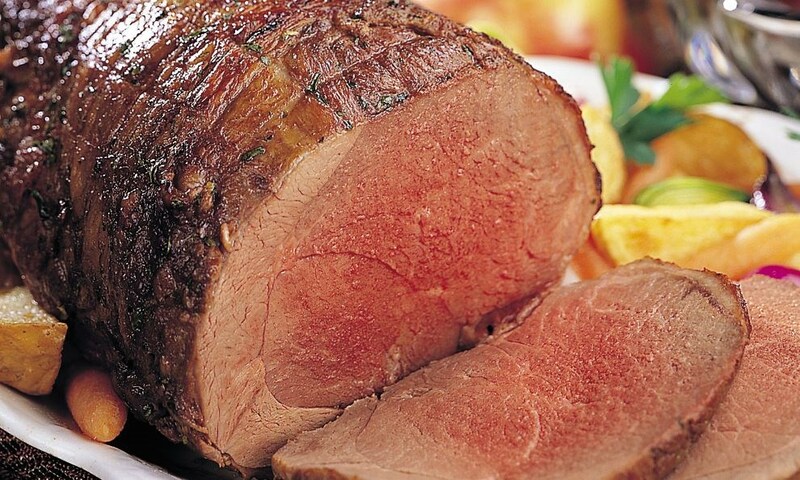 Colorado semi-boneless lamb leg roast makes a beautiful presentation and is easy to prepare in the oven. In a large pot of boiling, salted water cook potatoes until just tender; drain well. In a large bowl toss potatoes with remaining ingredients. Transfer to a baking sheet and roast at 375° F for 25 minutes until browned and fragrant. Serve with Personal Gourmet Leg of Lamb.